Clover Industries Limited (“Clover”, “the Group” or “the Company”), a leading branded consumer goods and beverages group operating in South Africa and other selected African countries, today announced its financial results for the year ended 30 June 2018. “I am extremely pleased with the performance from the group under such challenging trading conditions. Returning the business to historical profitability levels was no easy feat and required a collaborative effort. “We re-focused on the basics and took a consumer-centric approach to improve efficiencies and reduce costs. The savings that we achieved through strategic initiatives such as Project Sencillo, which involves optimising the supply chain, and Project Meglio which involves product recipe reformulations, were ploughed back into selected product selling prices, resulting in an 8.2% growth in sales volumes and an improvement in market shares across a number of product categories. “Several new products were launched and were well received by the market while Project Masakhane, which involves increasing our access to the informal trade and underserviced areas, saw us grow our distribution points by 51%. 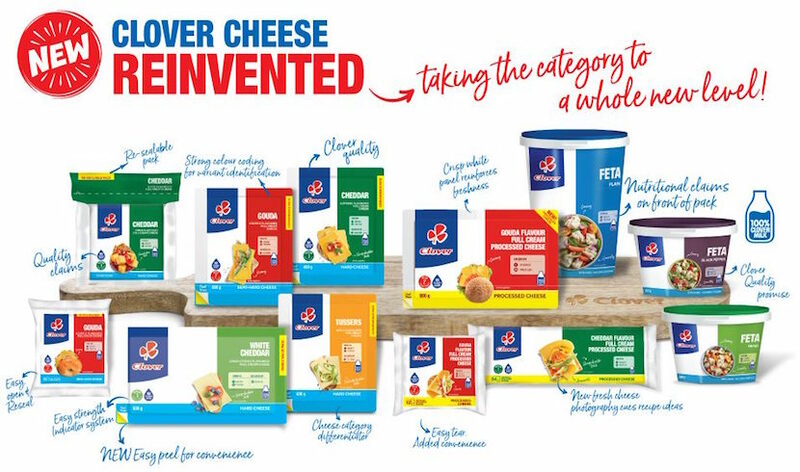 Group revenue increased by 7.9% to R8.3 billion supported largely by a 25.7% increase in the fermented products and desserts category and a 12.5% increase in the value-added dairy fluids category, where optimal pricing was rewarded with higher volumes. The dairy concentrated product category contributed 13.7% more to revenues due to above-inflationary increases in butter, which was in shortage, as well as higher volumes of cheese sales. Services rendered to principals was moderately up by 2.1% on a comparable like-for-like basis and contributed R1.9 billion to revenue having been impacted by subdued market conditions as well as the outbreak of Listeriosis. Clover provides manufacturing, distribution and sales and merchandising services to DFSA which became a significant principal and contributed substantially to services rendered revenue. Cost of sales on a like-for-like basis increased only 6.9% despite the 7.9% increase in total revenue. Savings were achieved through a continued and intense focus on efficiencies, recipe reformulations and robust re-tendering drives on input costs such as ingredients and packaging material. Pressure on primary distribution cost, driven by fuel inflation and transport of products between factories and distribution centres eroded some of the gains. As a result, the like-for-like gross profit margin increased from 34.9% to 35.5%. Selling and distribution costs increased only marginally by 1.4% or R28 million despite the accelerated roll-out of the Masakhane project. In total, Clover spent 6.3% or R15 million more on advertising, marketing, research and development costs compared to the prior year. Advertising spend was allocated to activities to achieve volume growth in the current year as well as to promote new product launches, innovation on existing product groups and the re-launch of the Clover mother brand which was met with great excitement and response from the market. “Good progress has been made in leveraging our brand to introduce value-added products and expand our reach to new markets in recent years, and this year was no exception. “We have invested methodically in acquisitions as well as in capacity building and rightsizing of factories and distribution assets to support our high standards on product quality and growth ambitions. During the financial year, Clover’s capital investment was contained to R215 million and was spent on capitalised maintenance, increased capacities and IT upgrades. “Clover has secured strategic trading partnerships and is confident that it can provide cost and value effective solutions to further alleviate the pressure faced by consumers. “The strategy to grow value added products that places consumers’ perceptions of what value means front of mind continues to be implemented in a responsible and sustainable way while efficiency drives will remain a key focus into the future. “Whilst it is pleasing to see profitability levels returning to expected levels, the challenging macroeconomic and trading conditions experienced this year are expected to continue over the next year.